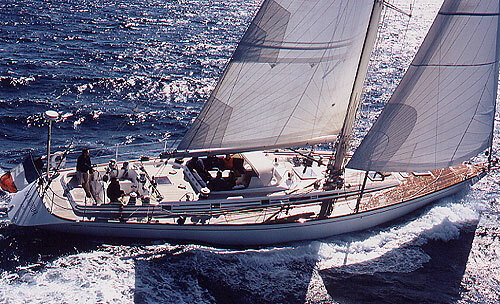 S/Y MELINKA - S & S Designed Swan 80 - Accommodates up to six guests in three cabins. 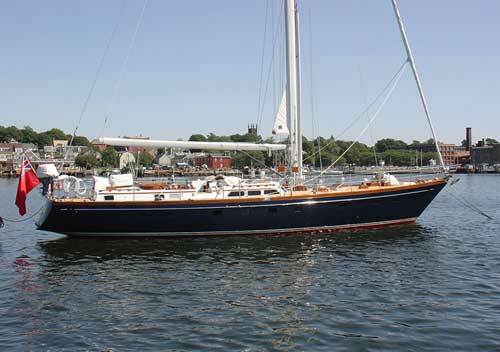 Admirers of traditional yachts will recognize MELINKA's classic Sparkman & Stephens lines at first glance. Below decks, her handsome interior is warmed with rich leather upholstery and fine marine paintings from the owner's private collection. Three en suite guest cabins aft of the spacious salon comprise a large master with twin lower singles, desk and library shelves, plus two cabins with upper/lower singles. All heads have separate stall showers. The galley and crew quarters are forward of the salon to give guests maximum privacy. Melinka's elegant style conceals an agile, high performance sailing yacht with good sea berths for offshore passages. 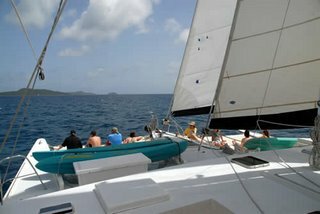 The cushioned sundeck aft of the helm has space for everyone to relax after an exhilarating sail or an afternoon of water sports. Captain Forrest Shropshire heads Melinka's crew of three. Despite his quintessentially English name, Forrest is originally from Georgia. He has more than thirty year's experience cruising the waters of the Caribbean and the U.S. East Coast and holds a 1600 ton USCG License. Mate Jace Hector is a second generation professional sailor from Antigua who loves sharing his local knowledge of the Islands. His sunny disposition, ready laugh and singing brighten every day. Unfortunately, we do not have the chef's name, but we had lunch aboard Melinka and the meal was excellent. Captain Shropshire and his crew look forward to welcoming you aboard Melinka. New Rates on the beautiful Swan 70, Claudia IV ! Re-priced (lowered) and changed from Euros to US dollars, Claudia IV's rates are now $20/000/wk for 2 guests, $21,000/wk for 4 and $22,000/wk for 6 guests. 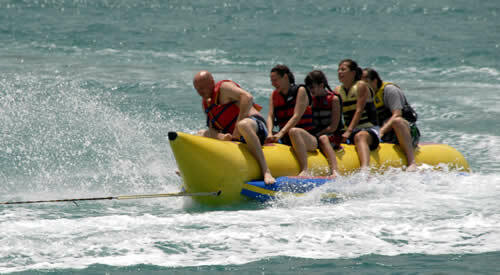 This rate is all-inclusive with the normal exceptions of special requests, taxes, dockage and communications. Note: Standard ship's bar is INCLUDED. The accommodations on Claudia IV make her ideal for family charters as well as for three couples. A classic Frers design Swan 70, she offers three double cabins, each with en suite head and shower. The master cabin is aft with a centerline queen, settee and vanity/desk. Two identical guest cabins forward of the salon have one lower double and one single upper Pullman berth each. British born Captain Mike Watts and his wife, Adele, the chef, have been polishing their hosting skills on charter yachts since 1996. 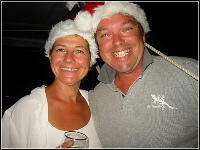 Mike is a mechanical engineer, RYA Yachtmaster, RYA Sailing Instructor and PADI Certified Scuba Instructor. 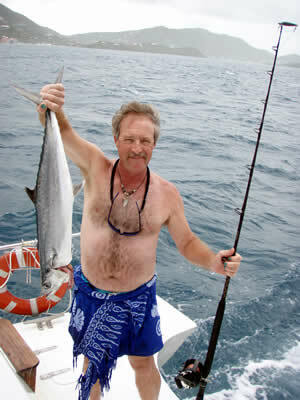 His knowledge of sailing and anchorages throughout the Caribbean is unsurpassed. Adele has done two circumnavigations, co-owned a dive charter company and trained at Le Cordon Bleu Culinary Academy in London. Electronic brochure: CLICK HERE and HERE TOO! 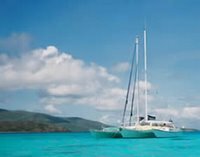 S/Y ASHLANA available for holidays - 10% discount with ship's bar included! Last minute cancellation! This stunning Little Harbor 53 accommodates 4 guests. En suite aft master has port & starboard "cozy doubles". Guests may use either of the two forward cabins which share a head and shower: V-berth double with filler, or port cabin with upper/lower singles. Raves for Chef Christie's chocolate fondue served at Antigua Charter Show's Broker Appreciation Day Tea. 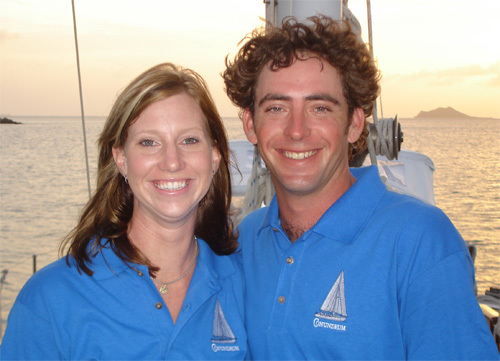 Discounted rates: USD $10,800/wk for 2 guests, and $12,150/wk for 4 guests except taxes, fees, dockage & communications.